Before I begin, I know there will be many of you out there who may read the title of this post, wishing that you just had the chance to be that lonely - possibly thinking how lucky I am to know what 'motherhood' is and silently screaming at me, "Just be with your baby - Be with your child. Play with them, enjoy them, have fun...Cherish those moments together. Stop being so ungrateful. Stop thinking about what you don't have". I will be forever grateful for the child I have, for the time I get...and maybe the only person silently screaming those things at me is myself.... 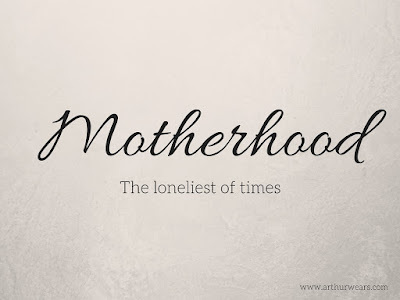 But I am certainly not alone in realising that motherhood (and often, fatherhood) although one of the best, most rewarding jobs in the world, can also be one of the loneliest. They say that it takes a village to raise a child. I actually think it takes a village to raise a mother. But what if you don't have a village? Or even half a village? Or perhaps you do, but you don't know how to ask? 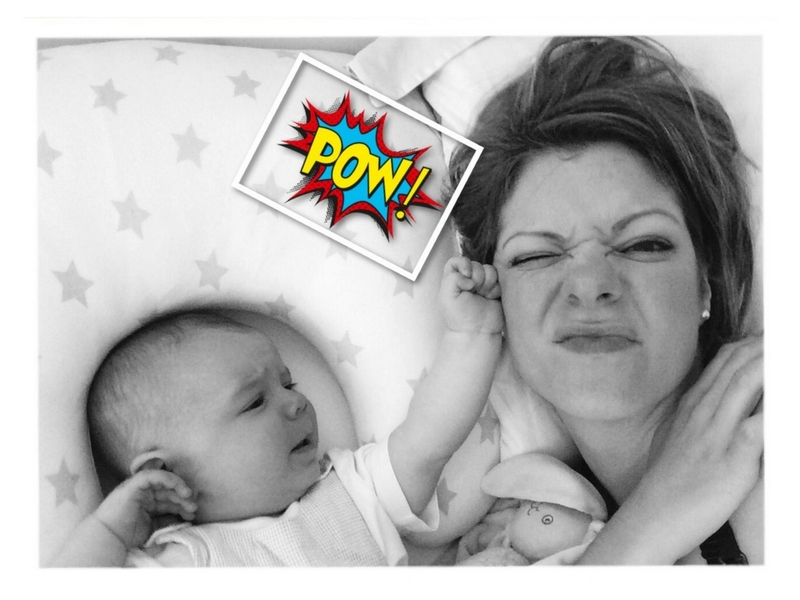 It might be your Mum who takes the kids for an hour a week or does your ironing whilst you negotiate nap times. It might be your Dad who sorts out your car service or takes your rubbish to the tip or cuts your grass. It might be the friend who calls round to drop off cake or lunch when you've been up half the night with a poorly child, or still invites you to do stuff even though she knows you most probably can't go - because no one wants to stop being asked. That's the worst kind of loneliness - the feeling of not being thought about. Maybe you are reading this and feeling lucky that you do have that kind of support network. Maybe you are thinking that you could probably do some of those things for someone you know, be that support for someone else. Maybe you don't have any of that and it has just confirmed your loneliness. Or maybe you do actually have an amazing 'village' but still feel lonely...know this, you are not alone. Research from AXA PPP Healthcare and Netmums revealed that over a quarter of new mums say they feel lonely after having a baby. It is believed that today, only about 29% of new mothers live in the same town as their parents and only 7% in the same city...I know I don't. I also live in a county miles away from where I grew up so I don't have the regular 'familiar faces' from my past popping up here and there, asking how my siblings are doing, asking what's new - sometimes it feels like that 'old me' never really existed, and I'll admit - the times when my husband works away I've have gone entire day's having only spoken to a toddler. It's not just mothers though, it's just as tough for fathers - particularly those who stay at home with the children. I know I have walked into playgroups on my own with Arthur and felt the presence of an invisible 'wall' around little groups and cliques. I've been the first to arrive and sit down, when everyone else then sits on the opposite side of the 'circle'. I've sat within a group and been moved along. I can't imagine how you'd negotiate those situations as a father joining what is often a room full of women. The overwhelming responsibility of being a full-time parent is one that can be bitter sweet. You love it, you want to do it, you don't want anyone else to do it instead of you, but at the very same time you also want and need a break from it. Often, giving every last bit of energy you have to looking after your tiny humans can leave you with nothing left for anyone else - even yourself. Even when I sleep, there is a small part of me on alert - constantly switched on and listening, worrying and waiting. When Arthur was small he suffered badly with colic and reflux and pretty much cried constantly when he wasn't feeding. It made leaving the house one of the hardest jobs, and I lost count of the number of times strangers would stop me in the street to tell me that I needed to feed my baby - as if the crying was due to some sort of neglect on my part. 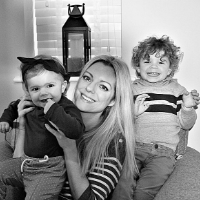 I suffered badly with flashbacks from my labour, which made me feel anxious and unable to sleep, and physically I wasn't able to join in with things such as post natal exercise groups or long walks with the other mums. Baby groups were hard work, Arthur would sick up his milk constantly - often on toys, sometimes on other children and was unable to be held in any position other than 'upright'. As he became more mobile in the first couple of months, classes such as 'baby massage' and 'baby yoga' were almost impossible to continue as he would escape any attempts to keep still. Looking back, I realise now that I thought people would look at me and judge me as a failing mother for all of these things, so I tried to avoid any situations that would leave me feeling embarrassed. I think parenthood is one of the few things in this world that can simultaneously make you feel like you can do absolutely anything (after all, you grew a whole new baby!) and yet knock your confidence to the point of feeling like you are no good at anything at all - this is when you need your 'village'. To pull you out of those moments of despair, not just by confirming that you are wrong, or simply distracting you - but by reminding you that it's not just you who feels like that, or who has struggled with all of these 'things' that feel so hard. Sometimes you just need one other person to sit beside you and just say, "Yeah, you know what? Me too. I get it. It's not just you...and it's totally fine." The saddest thing about loneliness, is that pretty much every single person will feel it at some point in their adult life. Every single adult. All of us - together - feeling lonely. Mo A Loneliness is what you feel when you're surrounded with so much support when breastfeeding or pregnancy is challenging, and you don't know how to tap into it. It is the sadness in your soul that wells up as hot tears whilst holding your baby who is totally dependent on you ... painful tears that you try to hide from your babe for fear that it might negatively affect him ... stomach churning tears that you can't find words to explain to your husband who wants to help but is at loss about how to do it, in those early days, weeks, and even months after birth. Naomi L I think it can be a huge shock to go from a busy working environment to being at home 24/7 with your baby. I certainly struggled with loneliness the first time round. You feel isolated because you're not confident going out with the baby, you're not confident breastfeeding in public, you don't know where the baby changes are etc. You have to force yourself to go out to groups and text other mums to meet up. It's really hard. Maddy M Speaking from the perspective of a young mum, it's a very isolating time because the rest of your friends are carrying on with life and freedom, and you've got this massive responsibility. You can't understand how they can be so carefree and leave the house on a whim without a military operation; they don't understand why you're so restricted and have so many responsibilities. It becomes very lonely, but you just have to find that compromise. My daughter loves my friends, and my friends love my daughter! Nancy S I felt the loneliest after second baby. First baby wasn't so bad for me, but I found that when I had my second, the mums that I met at playgroup etc didn't invite me to their get-togethers because I also had a toddler who wouldn't sleep in a car seat or be rocked in a pram in a coffee shop. It was truly the most horrendously isolating time of my life. Gemma W Hi Sarah, I'm seven months into maternity leave and I'm probably having the worst mental battle now than early on. I had my daughter on my last day at work (thankfully not at work!) so I went from a busy full time project job out and about all day to being stuck at home. I had a section too. I think I ran on adrenaline at the beginning and I forced myself into going to groups and exercise. I knew if I didn't I would be prone to PND. I think I put in place preventative measures and blogging has certainly helped me channel that energy I used to channel into working. I went to buggy bootcamps and local baby groups. It was so daunting at first but the support network I've built from going has been what's kept me going. Agree with Mo about the difficulty of putting into words how you feel some days. And even being surrounded by this network, you do have off days where you do feel lonely. Nadia As someone living in another country with no family or longtime friends close by, I've found it incredible lonely at times. Especially as Caspian is getting older. I would love to be able to pop over to my best friend's for a cuppa during the week and for our boys to be able to play together on a regular basis. Natalie C I posted on instagram about this earlier. I'm with my 3 children all the time yet I've never felt lonelier recently. It'll pass I hope! Emma Ann H 5 years after having my son and 6 years since I left uni ( as a mature student ) I'm still lonely stay at home mum . When my son was born we lived miles away from friends and family and they couldn't be bothered to come see me. We moved 3 years ago and we saw more of them when we lived miles away I've given up on friends, my son started school last year , found it really difficult to make friends. Loneliness is horrible it's sending me deeper and deeper into depression and I hate it. Becky L I find the loneliness to be there even though I am with family most days. I find that they don't understand how I feel inside and who I am now I've had a baby. I have to battle to get my point across and am often questioned on my methods. I'd love to find mum friends who I can talk to and not feel judged but the one time I tried a baby group I found it was so cliquey with groups of friends going together that I just sat alone. I was happy singing with baby but never went back. I moved to a new area when my baby was 4 months old so all of the friends I met at my antenatal group are too far away to meet regularly. I've never had lots of friends but I feel now as I new mum I really need some! Pippa Dawn W I found it really hard being lonely when I realised that all my friends were online friends and I didn't have anyone I could turn up on the doorstep of gasping for a cup of tea. I tried to make real world friends, joined a few baby groups and smiled at everyone on the School Playground, invited friends and their parents round for playdates and the like.Nothing happened there for me however.My online friends were really supportive, and together we text, email me, send letters and arrange for random stuff to arrive at each others houses! It's about putting effort in as well as what you get out. Heidi I think sometimes Loneliness is even present when your surrounded by friends and family. I have struggled with my little ones behaviour and strength of character I find it embarrasing at times and feel like a bad mum. I dont talk about it because of this, and it makes me feel very lonely at times. I think it has added to my anxiety and in return I see people less also. I also think sometimes groups of mummy friends can you feel lonely, trying to keep up with each other, admitting you havent done this and that can make you feel isolated and lonely too! Maria D I have had the recent experience of my third child leaving home, for University. For whatever reason, I felt her loss more than the other two. I suspect it is because we are the most similar in terms of our introversion. It has been lonely at home without her (I am now the only female among 4 males). I think it's hard when your kids start to grow up, to let them go with grace and dignity, while holding that space in your heart for them in a healthy way- especially when you feel the loss of their presence so acutely. Yet another moment for mother guilt to creep in. I was a young mum, I had my first child at 21. So most of the children of my friends are much younger than the majority of mine. I love them dearly, but they are in a whole other parenting world. Thus further exasperating the loneliness. 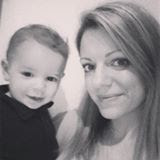 Hannah L I've been a single mum since my son was 7 months old. The nights have always been lonely but since he started school in September, the chats in the school playground can be my only adult interaction in my day. So many people think Facebook and Twitter are such a waste of time and that you should be doing something better with your time but social media is my lifesaver. Katy S I was lonely after the birth of my daughter. I have combated this by going swimming (water babies) once a week and then by spreading out running errands and visiting family for several days each week. Zoe C I feel like I don't fit in anywhere. I've never been popular or had a lot of friends, but I don't really have anyone locally I can spend time with who gets me. I've tried chatting to Mums at the school gate but certain cliques have formed and I don't get invited to anything outside school. It's really hard at times, and very isolating. I don't have anyone that I can really talk to anymore, without feeling like I'm boring their ears off - online or offline. I feel very lonely a lot of the time - and although sometimes I actually enjoy being alone, there are other times when I really wish I had friends. Aimee F When I had my first baby I was the first of my friends to have a child. I went from working full time to spending my days alone with her. For the first time in my life I was never alone but always lonely. In the end I made a real effort to find some mum friends and doing so made me so much happier. 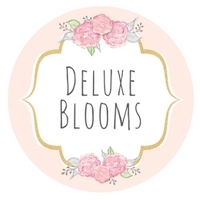 I felt so strongly about helping other mums in the same boat that I set up a website where mums can meet other mums for friendship, support and advice. I've written a lot about loneliness and isolation on my blog. Hannah J The thing I struggled with was some of the groups I did try to join a lot of the mums already knew each other through antenatal classes or they were friends before. I'd gone from full time working to being home full time. Most of my friends were either still full time working or if they were stay at home mum's they had older children (2+). When I did find a group of mums that I got on with they didn't always get how tight my budget was and so nights out weren't always an option. In addition to in the last 12 months I've been heavily reliant on public transport rather than having a car which then cut down further when and where I could go to meet them. When Jaxon was first born I could go whole weeks where I didn't see anyone outside of my family until church on the Sunday at which point I could spend most of the service in crèche by myself if Jaxon's feeds clashed with the service. (Either that or I would sit right at the back out of sight line and feed him there instead). Vicky W To most, being alone and loneliness are the same thing - but I can assure you they are not. You can feel loneliness in a room full of your best friends, its a feeling of loss and emptiness to me. I find that taking time to be yourself and enjoy the things that you really love, even really simple things like a hot bath and a cup of tea can honestly help. Focusing on you is the first step in overcoming this feeling. Kayleigh W When I had my daughter I was living away from all of my family and friends. I didn't know anyone at all and it was horrible. I was only 22, and didn't go to any groups because I couldn't drive. We spent a lot of time just us two! I used netmums quite a bit and found a group of women who were also first time mums. Over the years they have become a great source of support and we try to meet up when we can which is tough as we live all around the country! I moved back to my hometown four years ago and again didn't know anyone. My daughter starting school changed things though and now I'm in charge of arranging our school mums Christmas night out! I feel I've conquered my loneliness with time and just trying to speak to other mums at school. It's really helped! Fern B I remember a few years back, someone said "Becoming a mother was the loneliest time of my life", and boy, they were not wrong. It's just so sad that at a time when you believe you will be supported by everyone, people just vanish and you feel like you're begging people or being a burden when you just desperately want company. Or at least I feel this way. Jessica Chloe A I never felt alone in the sense that I had no one; I actually had a lot of friends and family readily around me wanting to meet up. I felt alone because I isolated myself; I said no to everything, anything I said yes to I secretly hoped would be cancelled in the run up and even though I had so much fun when I did see people, I was never eager to make more plans. It wasn't until Jasper was one that I realised what I'd been doing and for both of our benefit started pushing myself to make plans ... now I'm the opposite and dread a day with no plans! Have you suffered from loneliness as a parent? How do you overcome it?